A DRAMATIC ending to a very entertaining Allianz League opener in Killarney as defending champions Kerry needed a late point from substitute Daithi Casey to dig out a one point win over Donegal. Declan Bonner’s visitors nearly returned home with a huge victory after breaching the Kingdom rearguard on no less than three occasions. They had to play with 14 players for the most part but Kerry manager Eamon Fitzmaurice spoke of his delight with the result for his side, even if the performance was not the most impressive by the hosts. “Two points is what I am most happy with even if I agree we let ourselves very open at times,’’ he said. ‘‘There is a lot of learning out there for our players though and they have to learn about making use of an extra man like we had for at least 50 minutes of the game. 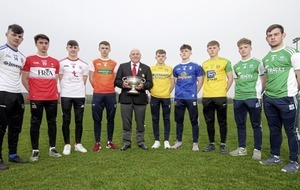 ‘‘I’m satisfied to get the result with the amount of debuts we had and it really is more about recovery for us now over the coming weeks with the Sigerson Cup games most of our players have alongside this,” he said. 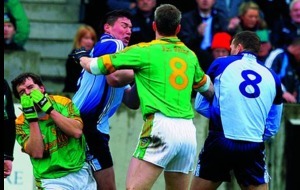 Bonner was very disappointed Donegal came away with nothing after what he felt was a monumental effort. “Killarney is a tough place to get something and a result would have been very valuable,’’ said Bonner. ‘‘We’re trying to be more expansive in our game and not just rely on putting 13 men behind the ball all the time. ‘‘We’re looking at the likes of Dublin and Mayo and the amount of ‘one-on-ones’ in last year’s All-Ireland final as what we should be aiming towards. ‘‘The League is all about trying to get a balance between blooding new players and staying in Division One for us this year,” he said. Jamie Brennan scored from the throw-in in a positive start with the aid of the breeze for Donegal but they were having difficulty with the lively Sean O’Shea gave Kerry a lead of 0-3 to 0-2 after nine minutes. Both Brennan and Odhran MacNiallais missed a great double chance of a goal early on and they were punished in the 18th minute when Stephen O’Brien found the net for Kerry to make it 1-5 to 0-4. Mark Anthony McGinley had gone off just prior to the goal (quad injury) with Peter Boyle taking his place in goal as Nathan Mullins was red carded in the 20th minute for an apparent kick on Brendan O’Sullivan. Six Paddy McBrearty points left only the goal between the sides at half-time, however, at 1-8 to 0-8, with O’Shea Kerry’s main scorer with four points in the opening period. Despite the numerical disadvantage Tony McClenaghan stole through for a goal 70 seconds after the restart for Donegal and McBrearty had them ahead again after 48 minutes at 1-12 to 1-11. When substitute Niall O’Donnell put Odhran MacNiallais through for their second goal in the 57th minute it put the visitors 2-13 to 1-13 ahead as McBrearty’s 10th point in proceedings had them four clear with 11 minutes to play. A scrappy Paul Geaney finish reinvigorated Kerry, however, for their second goal as first goalscorer O’Brien levelled matters at 2-14 apiece. Sean O’Shea and Killian Spillane edged Kerry back in front but Hugh McFadden appeared to have given Donegal an amazing win in putting Darrach O’Connor through for a goal straight after coming on a sub. However, a great distance free from O’Shea and a winner from Casey in the final of five allotted additional minutes decided matters in Kerry’s favour. 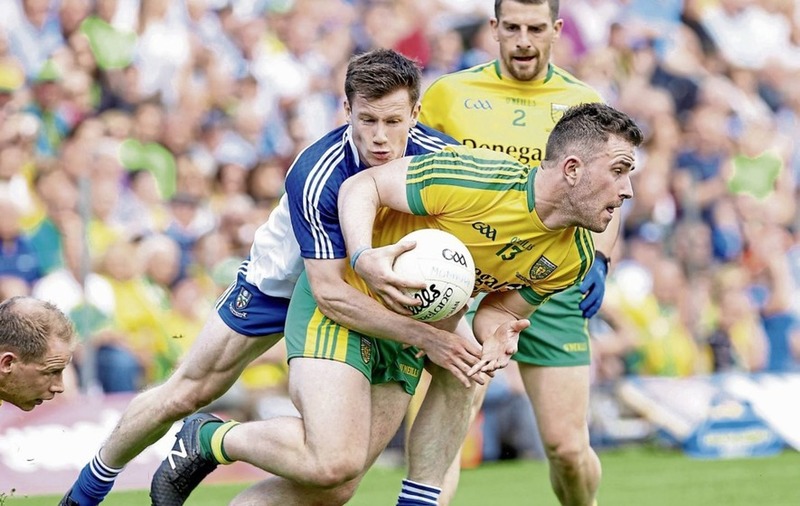 Kerry’s Gavin Crowley and Donegal’s McClenaghan were both sent off after second yellows each in a tangle prior to the winning score meaning a total of three players received their marching orders.